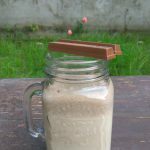 Kit kat milkshake without ice cream – Like eating kit kat chocolate? Try it in a milkshake form. You would love it! Milk and milk products are important for the health. As we all know, it is important to drink milk at least once in a day. Milk is rich in potassium, calcium, protein, vitamin D etc. One of the best ways to incorporate milk in our diets is to drink it in the form of a Milkshake. Milkshakes are usually made from milk, fruits, and dry fruits. They gives a new flavour to the milk. Even Milkshakes are a good way of giving milk to the kids. Usually kids don’t like to drink plain milk. A tasty Milkshake comes as an alternative. Kids easily drink milk when it is mixed with tasty fruits or dry fruits. How to make a milkshake without ice cream? Milkshakes made without ice creams are easy and simple to prepare. The basic ingredients needed for milkshakes without ice cream include milk and sugar. Milk and sugar form the base of any milkshake that you prepare without ice cream. If you like a thick milkshake (Just like the one you get in restaurants and coffee shops) but don’t want to use ice cream, then you can use yogurt. Yogurt is one of the best replacements of ice cream as a thickening agent. In other words, yogurt will make your milkshake thick and creamy. Yogurt is also an healthy alternative. Yogurt is rich in calcium and protein. It’s good for the digestive system and is quite beneficial for kids. One of the best milkshake recipes (especially for kids) is kit kat milkshake. a) Kids love anything made with chocolate. So this is a win -win recipe for those who love eating kit kat. Kit kat has been one of our favourite chocolates since a long time. It’s crunchy. It’s sweet. It’s chocolaty. When something is that good, we should try to use it in more than one way. And one of the easiest way is to make a kitkat Milkshake. KitKat shake recipe without ice cream | How to make kit kat shake? The kit kat milkshake recipe is quite simple. You only need three ingredients – A bar of kit kat chocolate, a glass of chilled milk and a handful of ice cubes. That’s it! Even without using any ice cream in this recipe, this kit kat milkshake recipe without ice cream tastes great. So, this is sort of a quick kit kat milkshake recipe. All it takes is 10 minutes to prepare this milkshake. You can also give this milkshake to the kids in the breakfast. They would love to drink this milkshake. Or you can give them this milkshake along with some after school snacks. I didn’t add any ice cream and this milkshake still tasted good. But if you want a creamier milkshake then you can easily add a scoop of ice cream along with the other ingredients. One scoop of ice cream would be more than enough for one glass of kit kat milkshake. You can either add a scoop of vanilla ice cream or chocolate ice cream. If you want to enhance the flavor furthur, then you can experiment with other varieties of ice creams. For example, you can add a scoop of coffee ice cream. Yum! Imagine a glass of chilled milkshake with a combination of coffee and kit kat. Or you can add a scoop of oreo ice cream to give this kit kat milkshake a mild oreo flavor. Thus, you can experiment a lot with this recipe. KiT Kat Milkshake Without Using Ice cream | How to make kit kat shake? Kit kat milkshake without ice-cream - Like eating kit kat chocolate? Try it in a milkshake form. You would love it! In a blender jar, add milk and kit kat chocolate bars. In a glass, add a few ice cubes. Pour the prepared kit kat milkshake.Serve chilled. Hope you give this recipe a try. 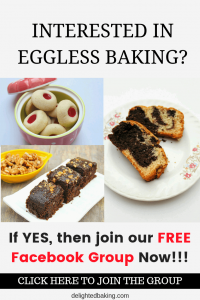 If you have questions regarding this recipe, feel free to ask them in the comments below. Thank you so much for this, just tried it today because I was in the mood for a milkshake but couldn’t be bothered to take a long trip to town. I didn’t have any ice cream and this had a perfect substitute. I poured in half a cup of strawberry yoghurt and around 6 ice cubes…boom! The Heavens were created with a blender.